Justin Alexander Bridal is a designer and manufacturer of mid-to-high end wedding gowns, wedding dresses, designer wedding dresses, and wedding fashion. Inspired by the 1950s and 60s the designer is well known for making the finest vintage wedding dresses and couture wedding dresses. Justin Alexander’s couture bridal collection is updated with modern twists to make them perfect for contemporary brides. With so many designs, there is that perfect dress for every bride! If you are looking for a unique wedding dress check out short wedding dresses, or if you are looking for the hottest new trends check out our lace wedding dresses or mermaid wedding dresses. The highest quality materials, details, and exquisite styling make each Justin Alexander Bridal wedding gown a true work of art. Visit the Justin Alexander 2015 wedding dress collection that includes glamorous silhouettes and illusion neckline wedding dresses. 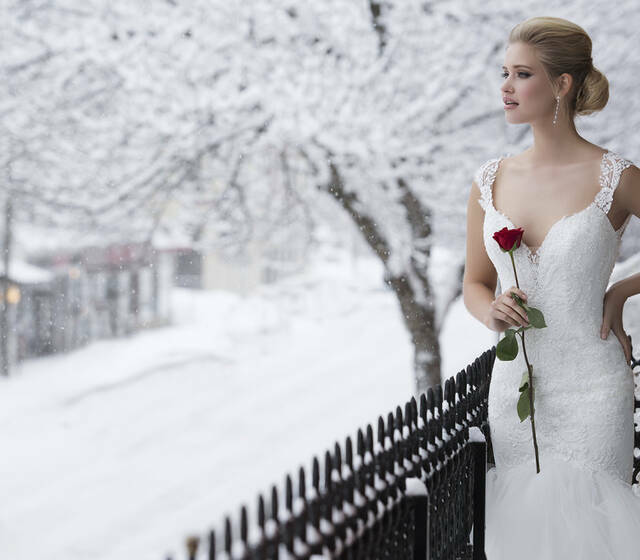 If you’re searching for romantic wedding dresses visit the 2014 wedding dresses collection. The Justin Alexander 2014 wedding dresses collection explores new silhouettes and textures including tulle tiered ball gowns, sultry delicate lace mermaids, elegant silk chiffon A-lines and a flirty silk jersey peplum. The Justin Alexander 2016 wedding dresses feature vintage-inspired wedding dresses that make every bride feel confident, sophisticated and glamorous. The Most Elegant Designs From Justin Alexander's 2018 Signature Collection. You Won't Be Able To Resist Them! The best collection of elegant dresses for elegant women. You won't want to miss out this season, take a look now!